Address: 179 W. MacArthur Blvd. SOLD $225,000 Great upside potential! 2 1-Bedroom units, one with a fireplace! Hardwood floors, period details. 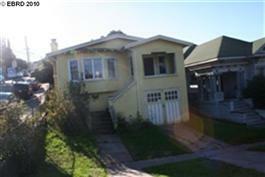 Close to Kaiser Hospital and Wonderful Piedmont Avenue.